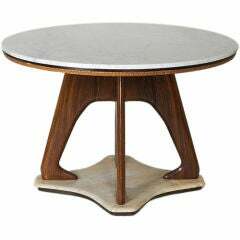 Sculptural round Italian table, white marble top, wood shaped legs and white marble base. 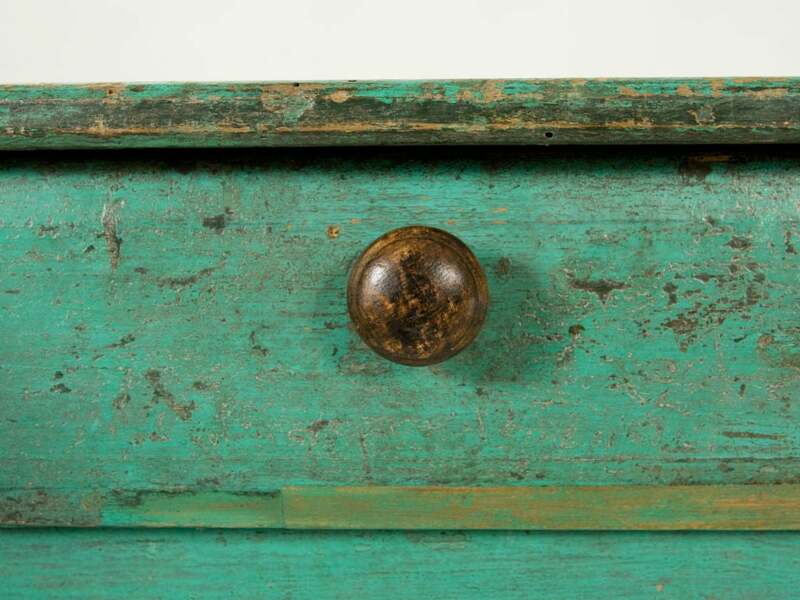 Attributed to Dassi. 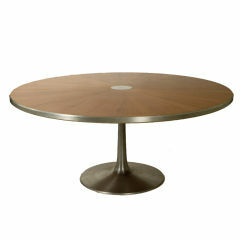 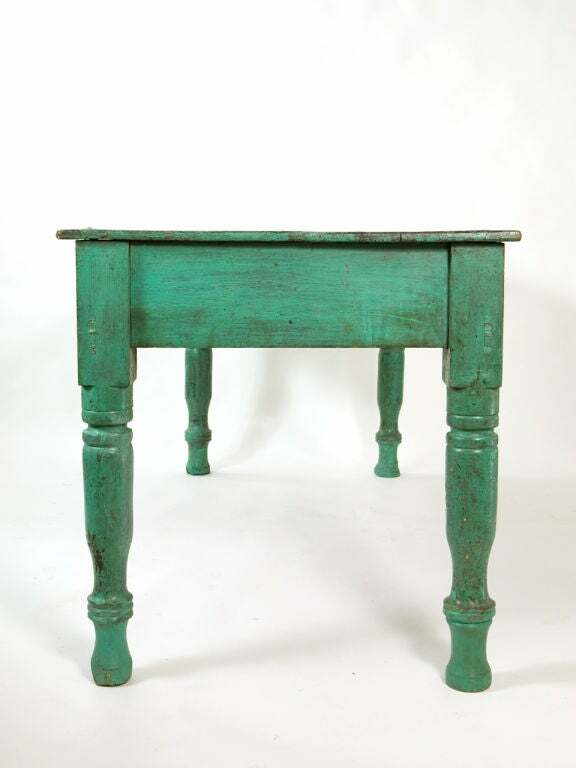 Early 20th century French faux bios cement table base with a contemporary faux bois fiberglass top. 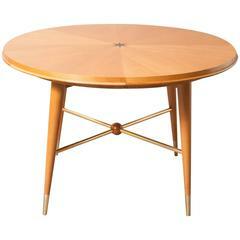 Stylish, Italian Modern dining table with decorative inlaid design top, brass stretcher and brass sabots. 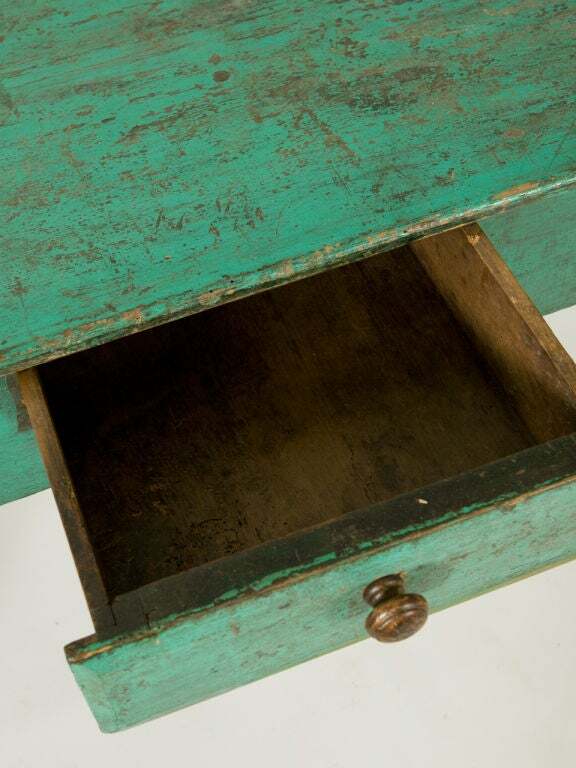 Circa 1950's. 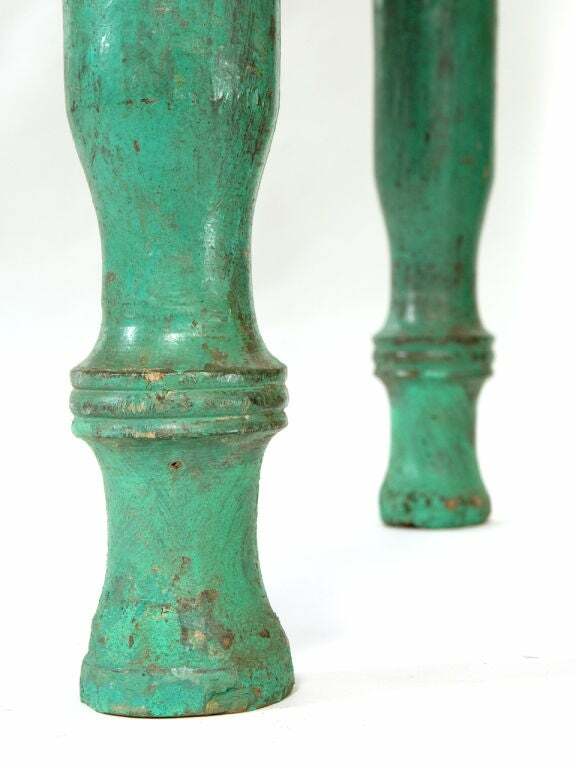 Newly restored. 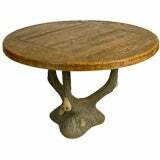 No leaves. 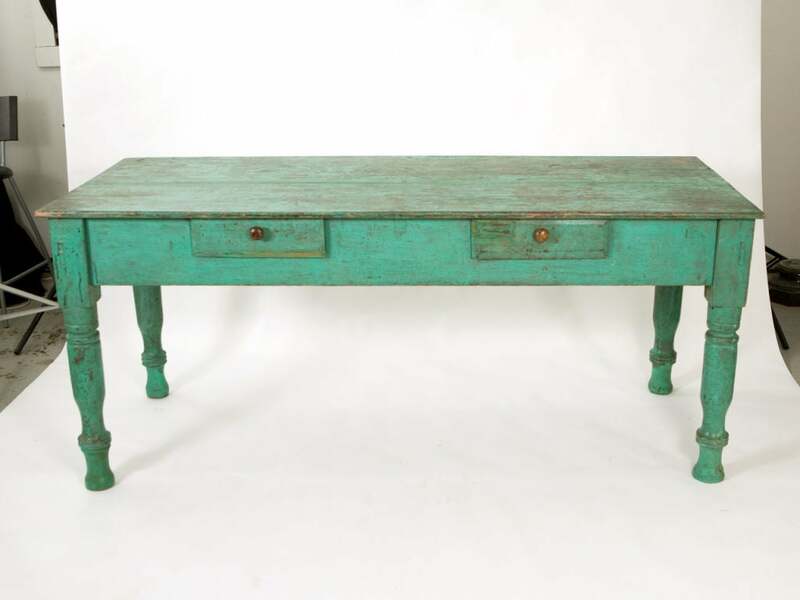 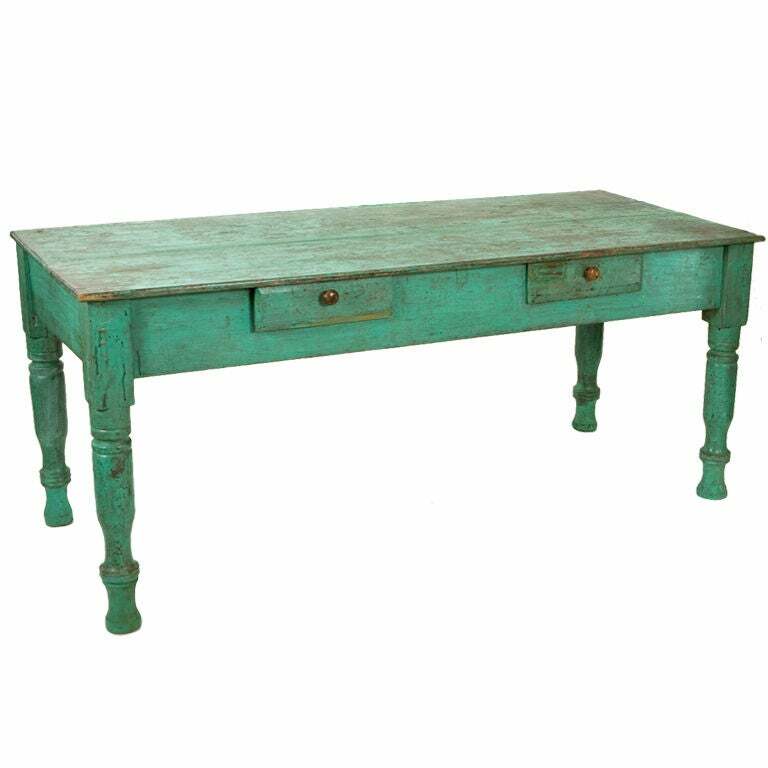 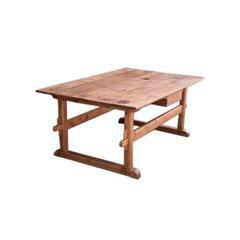 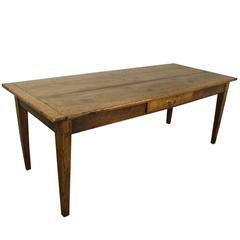 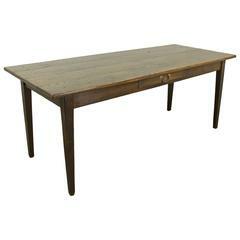 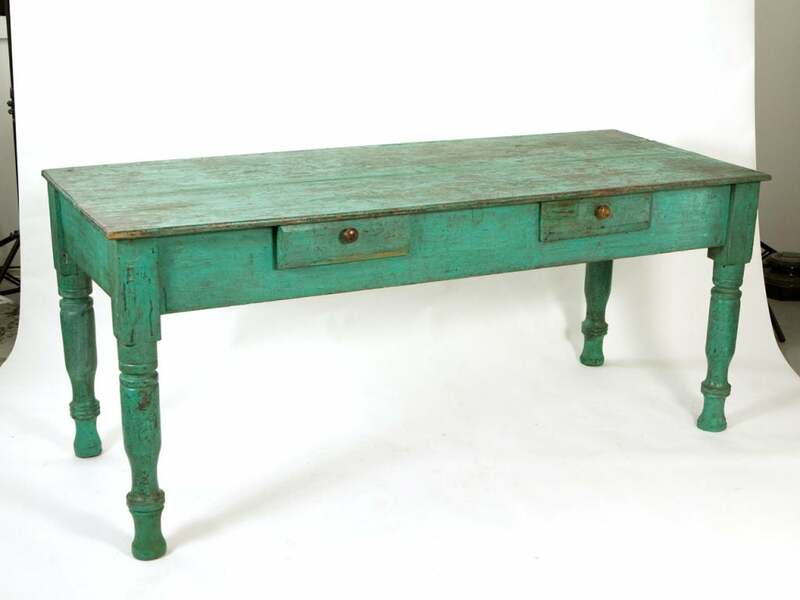 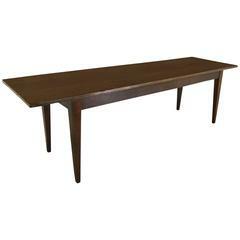 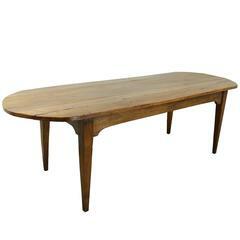 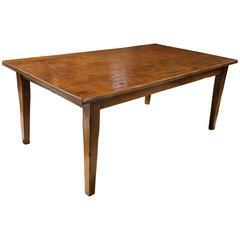 Three-plank antique French farm table with one-inch thick top resting on sturdy tapered legs. 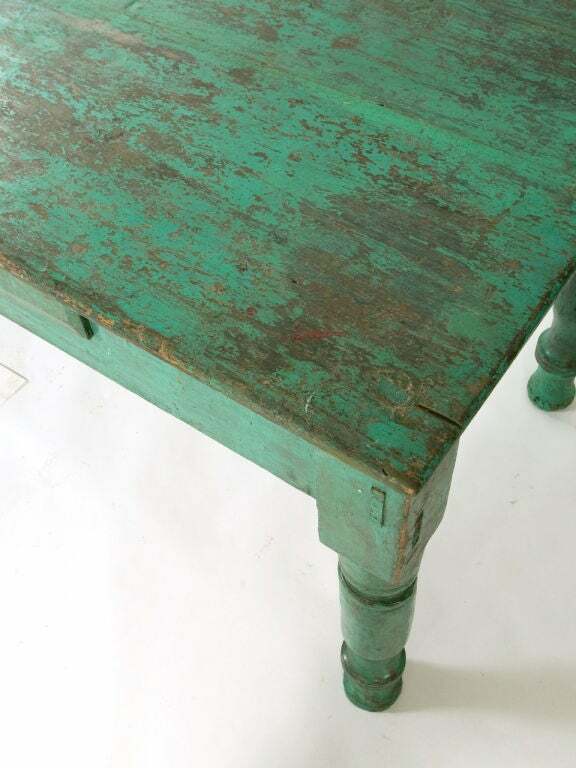 A table that has passed the test of time.